Name your favorite South Park pairings! Kenny has more to his character than just dying all the time, he's developed a personality now. He deserves to be in the top 10 because he is very caring to his sister, Karen, by using Mysterion to protect her from bullies, and got a job just so he could buy her a doll. I used to not care for him at all, but now he's one of my favorites. "Deep in the lands of Zaron, the humans of Kupa Keep struggle to stay alive as they are attacked by the wicked Drow Elves of Larnion. South Park is an American adult animated sitcom created by Trey Parker and Matt Stone for the Comedy Central television network. Intended for mature audiences, the show has become famous for its crude language and dark, surreal humor that satirizes a wide range of topics. The ongoing narrative revolves around four boys—Stan Marsh, Kyle Broflovski, Eric Cartman, and Kenny McCormick—and their bizarre adventures in and around the titular Colorado town. Omg i love south park i cry my eyes out with laughther it is so hilarious who ever made this show should get a thumbs up he or she is awesome i like there new episodes. You should watch it. its really funny some people dont like it and say its to inapropiate but they need to let loose and get ahold of themselves.because this show should be rewarded most funniest show. thumbs up if u love this show. and im new on fanpop my friend said its cool and lot of nice people - i dont believe her- i recomend u to watch this ok sorry for my typeing its kinda wrong i type way to fasts. If you like Clyde x Bebe, please join the club I made for them. 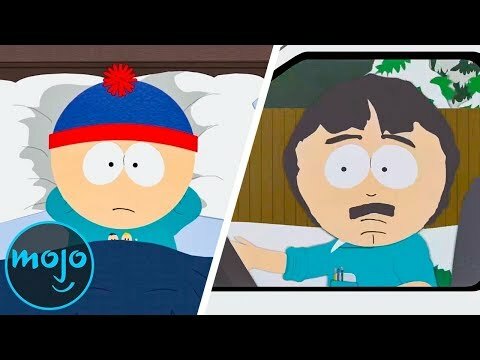 a poll was added: Should South Park get cancelled? 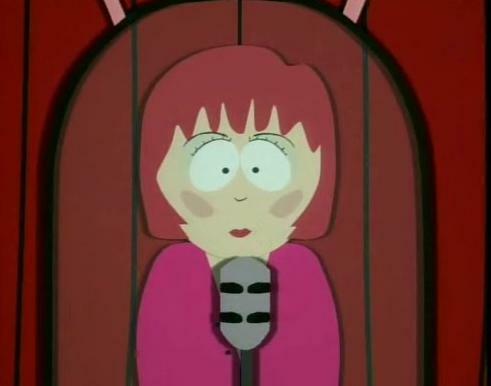 In 'Weight Gain 4000,' what song did Kathie Lee Gifford perform at the talent show that beat out litte Mr. Garrison's knock knock joke routine?